Are you having trouble in building good links to your Website? There are so many link exchange service who offered link building tools but, only one can offer for FREE and satisfaction is guaranteed. Visit freelinkbuildingtools and enjoy free links today. 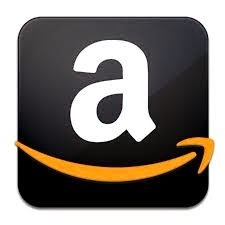 Just install the link code, set the inbound links and see the results. Where else would you go to enjoy the benefits of having exchange manager, popularity network, trade forum and partner search tools all for Free? Visit the Website today and fill in the account form to register. If you need free link exchange to build links, just visit the website now. If you have a business online and your Website has less visibility by clients, you need to improve it. There is a need for you to increase your Website rankings. All you have to do is to act now. Visit the links provided here today! 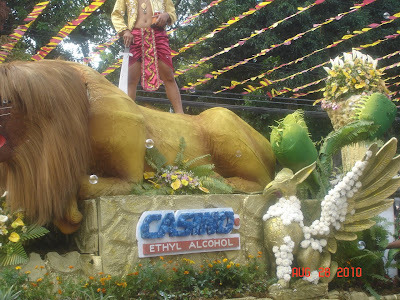 The Cagayan de Oro City Fiesta is every August 28, celebrating the life of Saint Augustine of Hippo, the city's patron saint. 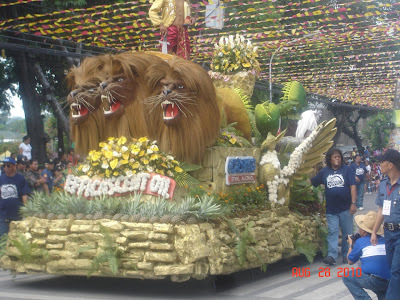 These are the beautiful floats which participated the fiesta parade. 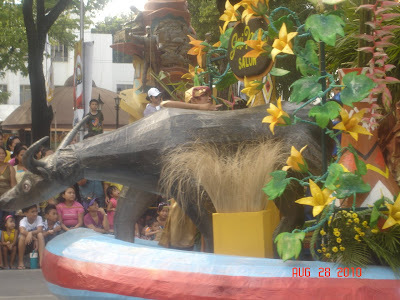 Aside from this event date, there are so many fiesta celebration in each street/barangay's of Cagayan de Oro. Each has it's own dates according to who is their patron saint. Here are some of the beautiful creations of each participants. 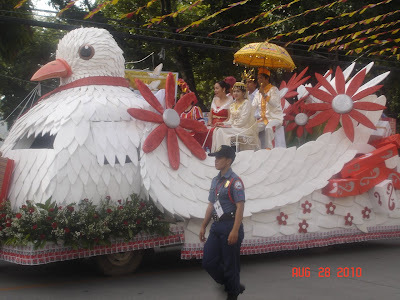 During Fiesta celebration, it is a holiday and at the same time a family day. More pictures to come. Thanks for stopping by. 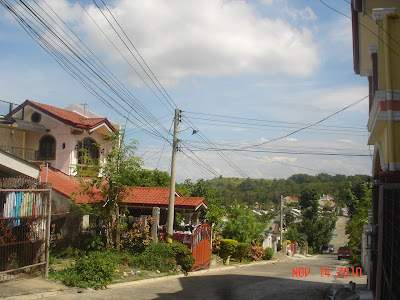 First week of my stay in the Philippines, I wanted to visit all the cemeteries. 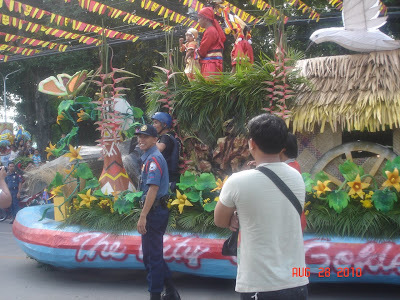 I arrived during All Saints/Souls Day and it was a big celebration in my country. At night time, we decided to have a good nice dinner at the beach. We went to Opol, Misamis Oriental, Philippines and sure enough, I had a good dinner with my mom and two of my friends. 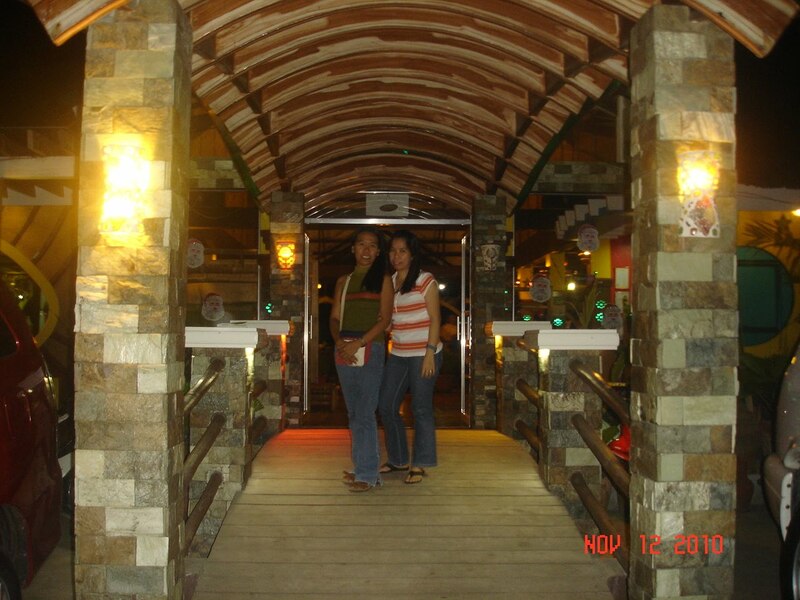 We love the ambiance, we admire the friendly employees and the food is worth the price. It was a bit expensive but, since it is delicious, we really don't care at that moment. All we need is to satisfy our cravings for kinilaw and Filipino calamare tastes. Seablings is a newly open Seafoods Restaurant and by that, I would mean three years ago, it was still under construction. The picture above is their entrance. My friends and I have an instant positive feedback after we tasted their food. 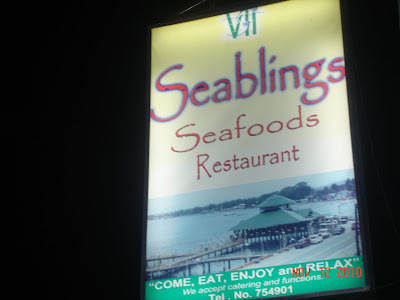 If you happen to be in Mindanao, and heading to Iligan, visit Seablings along the highway of Opol. You should try their yummy food. Anyway, I was living abroad for almost three years and this is my first comeback to the Philippines. This is the view of my place and we live in the uptown overlooking the view of the bay of Cagayan de Oro city. Thanks for stopping by. I am presently having a bedroom renovation and one major project that I wanted to renovate is my bathroom. I saw the Website at www.betterbathrooms.com and was blown away with their awesome bathroom products, and accessories. They have traditional as well as modern basin and toilet sets with the price is right on the family budget. These are the things which should not be neglected because we use it daily and we need it for comfort. Their products include shower heads and shower systems, whirlpool baths and of course, jacuzzi. Who wouldn't want this amazing bathroom comforts? Probably, all of us and that is understanable! My husband adored the Jacuzzi Baths which I'd rather have among other comforts in the bathroom. Having a jacuzzi in the house will be enjoyable, relaxing and rejuvenating after long days of work. What would you think? Anyway, are you looking for bathroom products? This website has it all. They have wall and floor tiles, and also translucent glass mosaic tiles which can make your bathroom cozy and elegant. What are you waiting for? Check out your bathroom needs at betterbathrooms.com today. This company offer 7 day money back guarantee because, customer satisfaction is what they are aiming. For that, it is guaranteed that their products are durable, affordable and elegant. Visit the Website today! 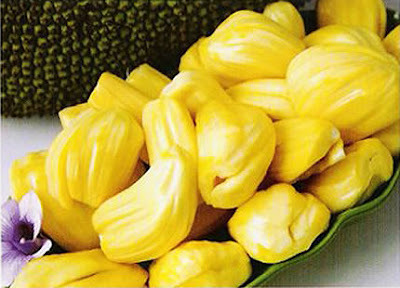 I just found out that Jackfruit is the national fruit in Bangladesh. In the Philippines, this fruit is native and is always found in the backyard. My mother planted three Jackfruit trees in our backyard. But, since we dont have enough space, she cut the other two. This tree is what I called the Giving Tree. It provides shade and of course, fruits which the whole neighborhood would enjoy feasting because some fruit would grow as big as 80lbs. The fruit looks like this and it is very sweet and juicy plus, the smell is really great. 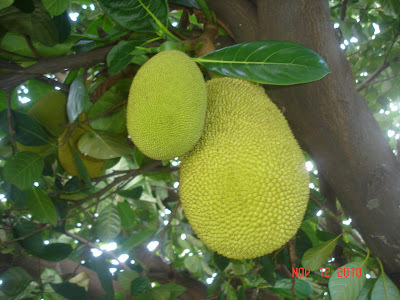 Most of the parts of a Jackfruit is very useful for other purposes also. Aside from the fruit, the leaves can be used as wrapper because it has a distinctive natural flavor in it. The seeds are not wasted also because it can be boiled or baked just like beans. 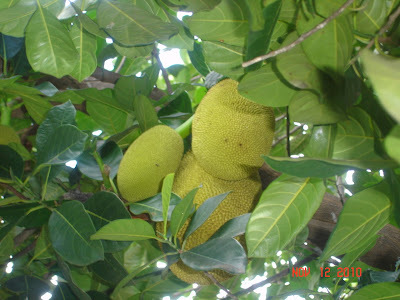 The bark of Jackfruit tree is also used for wood production such as home furnitures. The fruit on the other hand can be eaten even when it is unripe. It is a good substitution to meat curries.